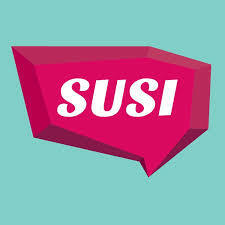 SUSI, the national student grant awarding body, has announced that its online application system for the 2019/20 academic year is now open, today 25th April. As SUSI expects to receive up to 99,000 applications over the coming months students are advised to apply online through the SUSI website as soon as possible. SUSI Communications and Information Services Manager, Aoife Greene advised, “Students should visit their website www.susi.ie and use their quick and easy online Eligibility Reckoner before making their application. This will give them an indication as to their eligibility for student grant funding. They can find all of the necessary information and advice on our website and social media, including videos and detailed guidance notes for making an application. We also have a responsive telephone and e-mail support desk that can deal with any queries students might have. “It is important to remind students who are progressing to the next year of their course that they need to renew their grants annually and we have already e-mailed all of those students in the lead up to opening to inform them of the process for renewing. The priority closing date for making renewal applications is 13th June, 2019. Aoife Greene added, “SUSI aims to continuously improve upon its service and we expect that over half of applicants will not be required to submit any documentation whatsoever in support of their application. For those students who are requested by SUSI to submit supporting documents, I would advise them to submit all requested documents together and as soon as possible and to contact the SUSI support desk if there will be a delay in returning certain documents. “Students can track the progress of their own applications and confirm that documentation has been received through their SUSI Online Application Trackers. This is available by logging in to their individual SUSI account. Why is it that Govt is failing to utilise Credit Unions to invest in social housing? 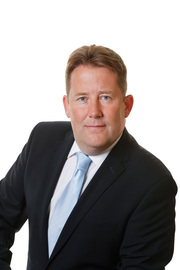 ​Earlier this afternoon Fianna Fáil’s European candidate for Dublin, Barry Andrews lodged his nomination papers with the Dublin County Sheriff, Fergus Gallagher in advance of the European Parliament elections on Friday, May 24th. Commenting from Cabra West this evening, Andrews said, “My campaign is well underway and it has been clear throughout my recent engagements that the interest in matters of European importance is stronger than ever across the Capital.